THE Blues have conducted a big clean-out after finishing on the bottom of the ladder, and would hope to boost their side with young talent. Amelia Barden, who comes from Collingwood will add to Carlton’s inside midfield brigade while rugby sevens duo, Chloe Dalton and Brooke Walker could add exciting aggression and agility to the Blues’ outfit. 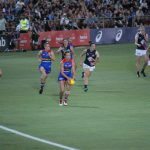 With Darcy Vescio having a stellar Victorian Football League (VFL) Women’s season and Brianna Davey sticking with the Blues, a rise could be on the cards for Carlton. The Blues have the first of the Victorian metropolitan picks and undoubtedly, Calder Cannons captain, Madison Prespakis will be on their mind. 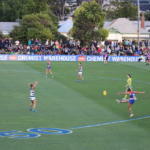 Prespakis was a favourite to go number one in the AFL Women’s Draft this year, but after nominating to go a metropolitan Victorian club, it ruled her out of going to Geelong at pick one. This presents a prime opportunity for the Blues to take one of the best Victorian metropolitan players. Vic Country representative, Tyla Hanks will also be a key prospect, having played with the Blues in the VFL Women’s season. Hanks was the leading disposal-getter in her first game with the Blues and has proved to be a dangerous midfielder throughout her junior career. 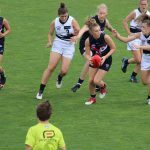 Carlton AFL Women’s coach, Daniel Harford has expressed interest in Sandringham Dragons midfielder, Abbie McKay, who is the daughter of Carlton premiership player, Andrew McKay. These midfielders could help fill the void left by Maddison Gay and Madeline Keryk, who were both delisted from Carlton’s list. 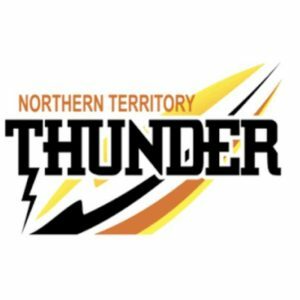 The Blues will make history by drafting McKay, as it will be the first ever father-daughter selection. With the loss of Danielle Hardiman and Kate Gillespie-Jones,Carlton could fill its defensive stocks by drafting Vic Country representative, Jordyn Allen. 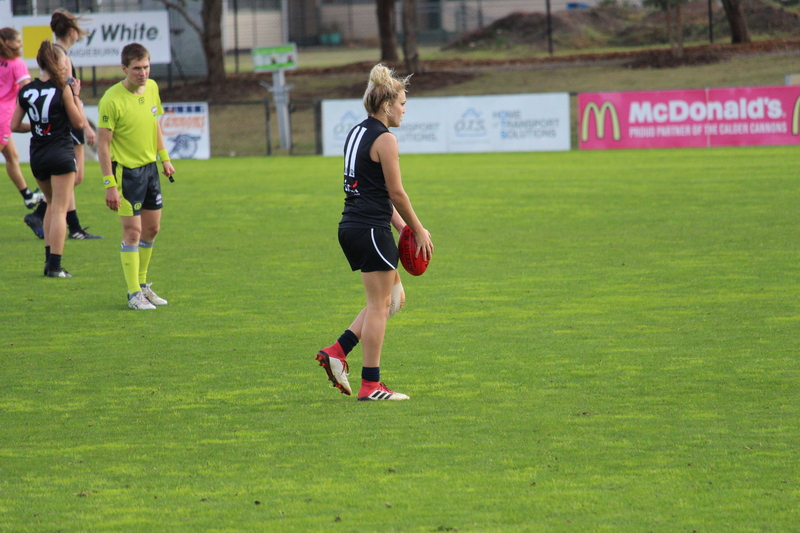 Allen led the way for the Dandenong Stingrays this season and also made the AFL Women’s Under 18 All Australian side. 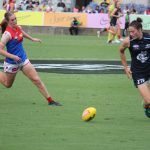 Vic Metro representative, Eleanor Brown may also be a name that the Blues will keep an eye on, as she can play in the midfield or across half-back. 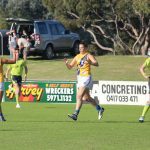 IN the round eight edition of number crunching, we look at the marks leaders for the season to date. We look into which key position forwards are making life difficult on their defenders, the midfielders who are able to move up and down the ground taking marks, and the intercept specialists down in defence. We acknowledge the outstanding performances from the past weekend, the top 10 mark performances thus far as well as those who have done it consistently across the board and presented a huge target for their team. Round eight saw some dominant performances through the air across the board. 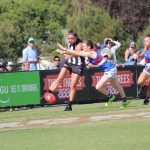 League leaders Collingwood had several players in the top 10 including Chloe Molloy. 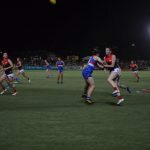 Molloy spent the majority of the AFLW season in defence but has made the move to the forward half of the ground for the Victorian Football League (VFL) Women’s season. Her football intelligence allows her to read the play about as well as anyone in the game, which allows her to create separation from her opponents and mark on the lead. Her teammate, Sophie Alexander also impressed as the equal leader for the week with seven marks. Alexander was unbelievable up forward, marking anything that came her way en route to a four goal performance. 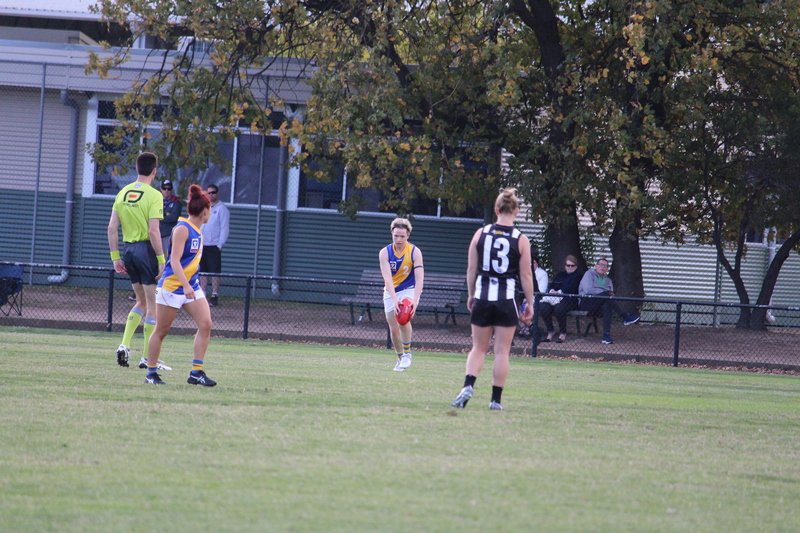 Other notables included Carlton’s Kristi Harvey; a leader amongst the competition in this department, Casey defender, Bianca Jakobsson who played a great all-round game which included six marks and Darebin’s Aasta O’ Connor who was the equal leader alongside Sophie Alexander (seven marks). As we analyse the best single-game performances for the season, we see a few familiar names that have been featured in several other categories. Most notably is Jess Duffin, who is not only second in the league for disposals, amongst the leaders in goals scored, but has shown the ability to use her speed to move up the ground and create marking opportunities. A true standout of the competition, Duffin has been able to show great versatility throughout the season, as the one shining light for a struggling Williamstown. Meghan McDonald of the Darebin Falcons started the season out in blitzing fashion, racking up 19 marks through her first two games (nine in round one and 10 in round two), making her our best individual game performer thus far.